Located centrally within the school, the LRC is a key supplier of resources for both the curricular and recreational needs of students and staff. It is open throughout the day from 8.15am to 4.30pm. Sixth Formers are encouraged to use the library for research, and a number of them act as library prefects during break and lunchtimes. Help is also provided by a team of volunteer parent helpers. Resources in the library include 17,000 fiction and information books, journals, newspapers and audio books as well as a growing collection of book related DVDs. There are 30 networked computers and a Chromebook trolley, all of which have internet access. A printer/photocopier is available for student use. The library staff offer help and guidance to the students on the selection and use of materials and seek to foster in them a love of reading. The fiction stock is wide in scope in order to appeal to all tastes and abilities and its use is promoted through new book displays, subject reading lists, themed bookmarks and a book review board. All Year 7 students undergo a library induction course during their first term to help develop skills in locating, retrieving and evaluating resources. These skills are then reinforced through curriculum-based projects during Years 7 – 9. We use the Accelerated Reader program with Years 7, 8 and 9 to encourage regular reading, and students can access Accelerated Reader quizzes online via the Library laptops. Students are also very welcome to pay us a visit during any break or lunchtime, in order to change books, use the computers or simply sit and read. There are books and resources to suit everyone, from Year 7 to Sixth Formers, from those students who devour books to those who are not quite so keen. The fiction is divided up into categories (such as Quick Reads, Romances etc) to help with browsing and each section is clearly marked. The information books also cater for all ages and abilities, with a particularly good range of resources for Sixth Form students. Students in the lower school may borrow up to four books at a time, while those in Years 12 and 13 have a ten book allowance. Our other resources include copies of three national newspapers, a newspaper aimed directly at young people, over twenty curriculum based journals, leisure magazines, stories on CD and a fast expanding collection of DVDs (mainly dramatised books, plays and foreign language films). The computers and LRC browsing software are available throughout the school day. Extra- curricular activities include author visits (Carnegie medal winners Tanya Landman and Sarah Crossan have been recent guests) as well as participation in the Carnegie Medal shadowing scheme. The Library also runs ‘STAGS Reads’, where the whole school community is encouraged to participate in reading a particular book to earn house points. 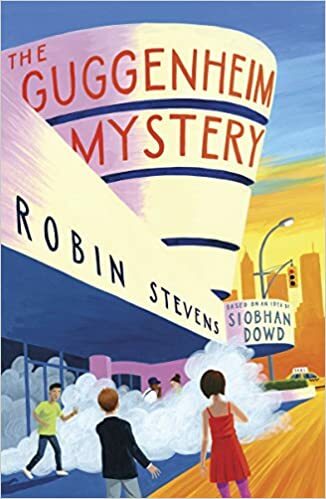 This year's book is 'The Guggenheim Mystery' by Robin Stevens. Please join us in this fantastic read. For updates on LRC events and activities, please follow or have a look at this Twitter Page.